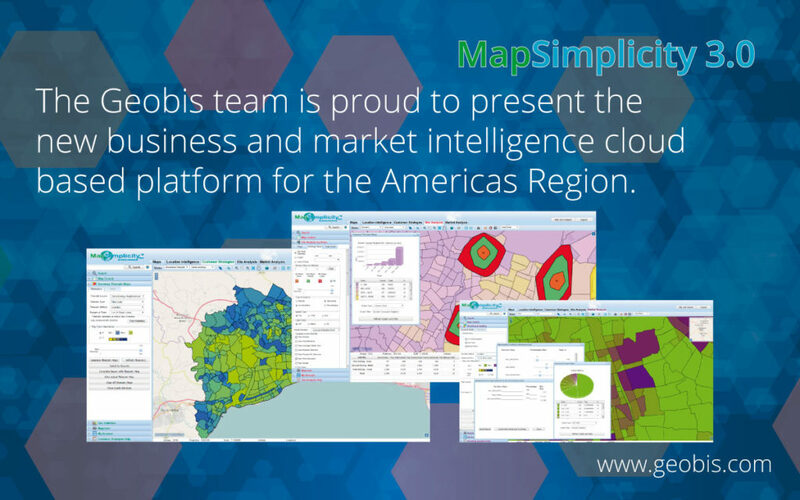 The Geobis team is proud to present the new business and market intelligence cloud based platform for the Americas Region. With the new modules of Market Analysis MapSimplicity 3.0 allows you to obtain the highest scores for areas of developing your market & business strategy in any type of industry. 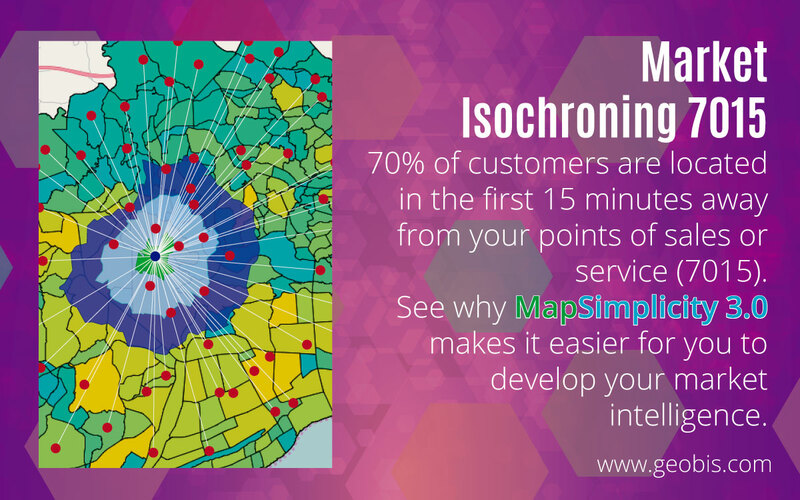 70% of customers are located in the first 15 minutes away from your points of sales or service (7015). 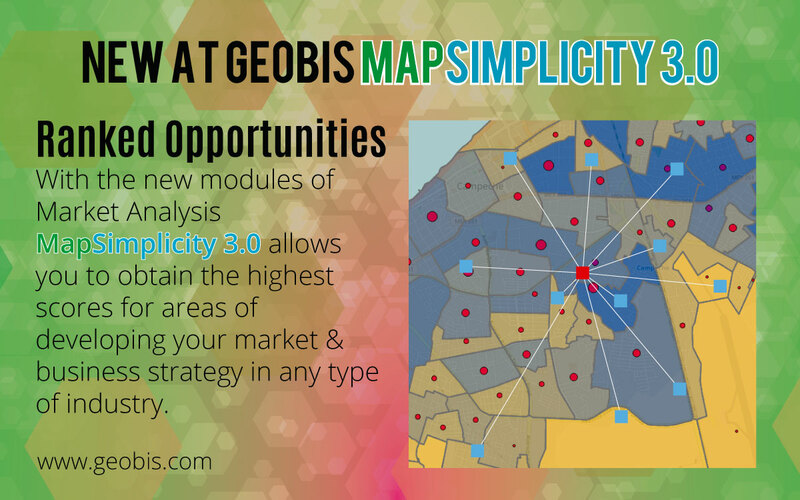 See why MapSimplicity 3.0 makes it easier for you to develop your market intelligence. 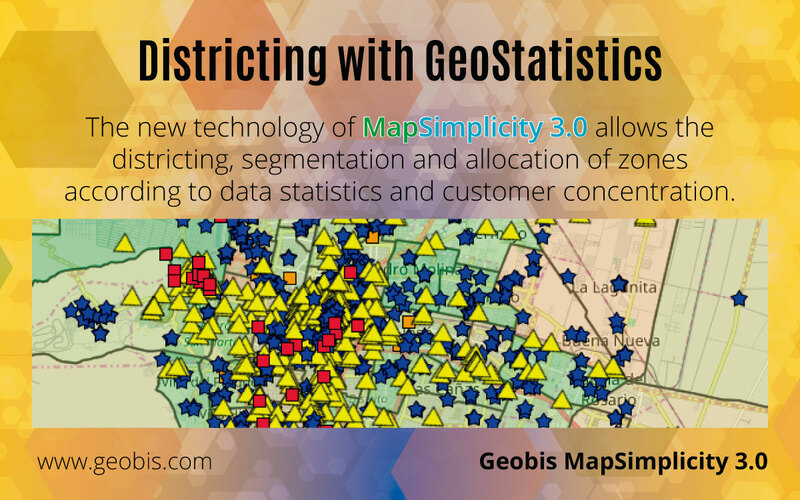 The new technology of MapSimplicity 3.0 allows the districting, segmentation and allocation of zones according to data statistics and customer concentration. 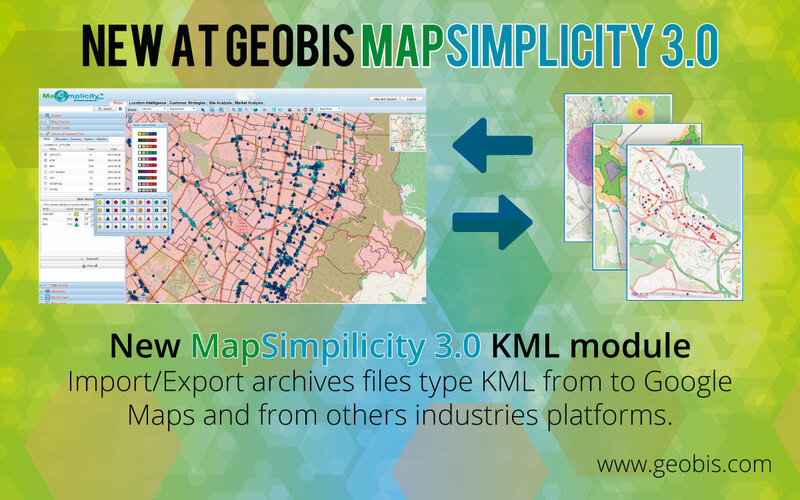 Import/Export archives files type KML from to Google Maps and from others industries platforms. Locate and relocate your dealer network according to customer concentration and market opportunities. 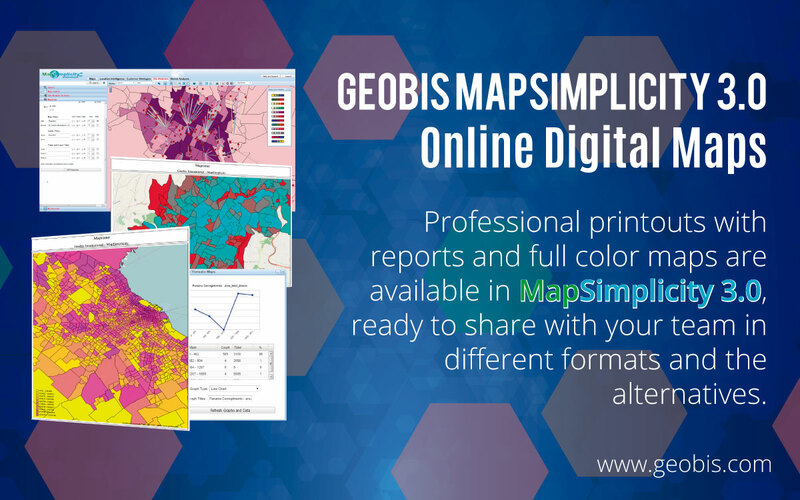 Professional printouts with reports and full color maps are available in MapSimplicity 3.0, ready to share with your team in different formats and the alternatives.